The Tinted Gauge Series has been revamped from the previous model with improvements to both performance and classic styling with a modern touch! These custom gauges will make a very nice addition to any hot rod, custom car/truck, or import vehicle. Each Tinted Series Gauge is housed in a two tone gun metal body with brushed aluminum trim ring and magnified tinted lens. In addition to the classic look features of these gauges is that they completely black out when turned off. 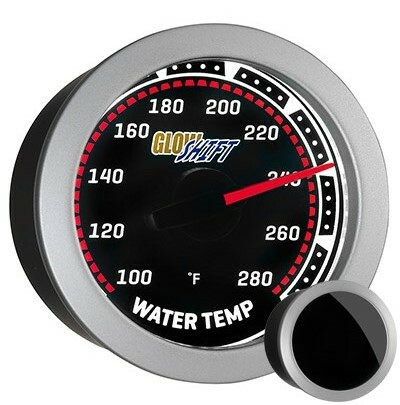 Stepper Motor Technology is an added feature to the electronically driven gauges as it allows for extremely smooth needle movement to keep up with the changing outputs of your gauge. Each gauge features an illuminated red needle that sweeps 270 degrees at startup and is backlit by white LEDs. 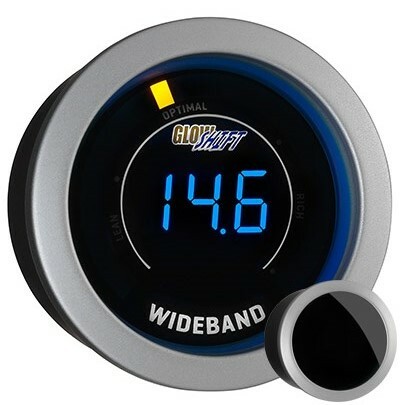 Connecting the gauges to your factory headlight switch allows the gauges to dim 30% for a more subtle glow when driving at night! 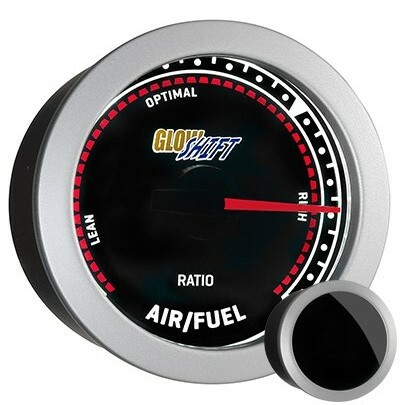 Our Tinted Series offers a variety of gauge types for cars and diesel trucks such as Turbo Boost Gauges, Air/Fuel Ratio Gauges, Fuel Pressure Gauges, Temperature Gauges, Pyrometer EGT Gauges and many more! Each Tinted Series Gauge purchased comes included with all the necessary mounting hardware, sensors, wire harnesses, installation instructions, as well as free lifetime technical support and a one year limited warranty. 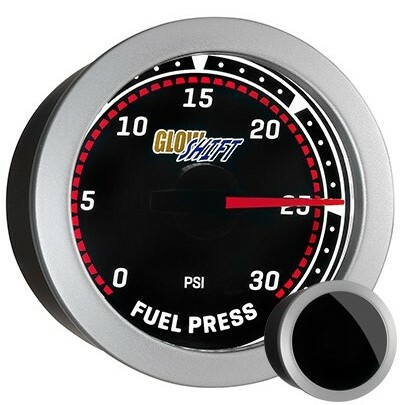 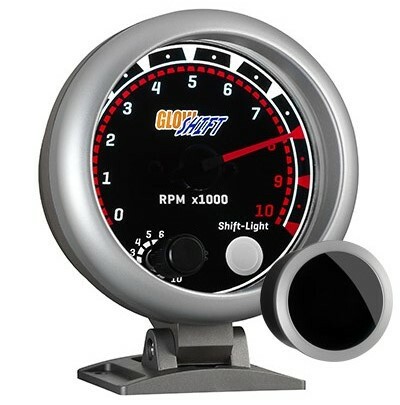 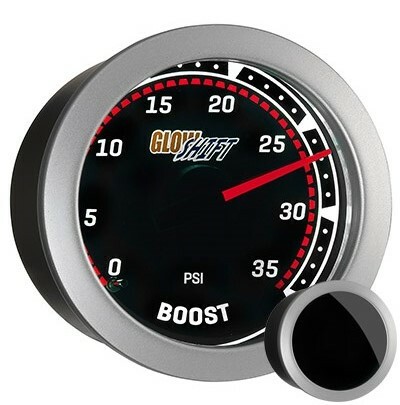 Take a look at the Classic Red and Black Tinted Series Gauges we offer below to select the performance gauge you need for your car or truck. 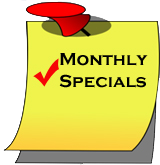 Click here to return to our mainGauge page for other great styles like our Tinted Gauge Series!